Allied Marketers is a marketing publication powered by an International Peer Group of online and offline marketers. Our group is a collection of application companies and marketing agencies (SEO, Inbound Marketing, Content Marketing, you name it) that work together to expose each others content to a large targeted audience and consolidate a wide array of our content in a single place. We invite marketers from all disciplines to contribute content regularly into the Allied Marketers Publication. Collectively, this information serves to be a centralized location for incredible knowledge in the world of marketing for both the consumers and creators of this content. Application providers and industry professionals from around the world will be boosting your exposure. Each individual member will have 20+ partners to share their content to an audience that is brand new. In addition, our efforts will help increase backlink reference to our content and have a significant effect on SEO. 1) Upload minimum 1 article/mth to the Allied Marketer publication. 2) Distribute a minimum of 500 pieces of content a month. *Top contributors and top distributors will get additional exposure. 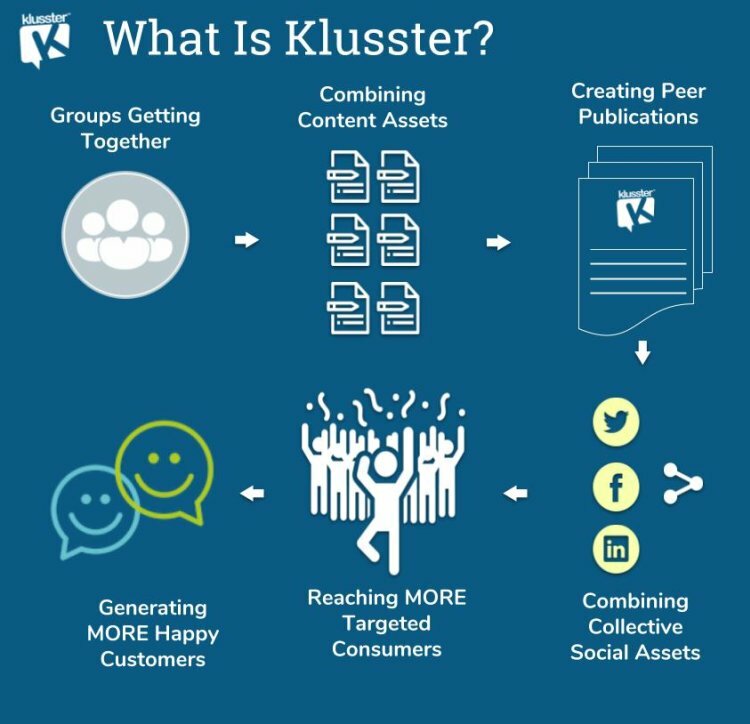 We utilize the Klusster Group Publication platform to power our network publication. Klusster is a turnkey publishing tool, that allows for easy syndication of your content. As well, the platform tracks the distribution efforts of each member through the Klusster Sharing and Team Sharing systems. I want to join the alliance and get more exposure. 2) Upload your first content to Klusster. 4) Get notifications of new content and performance. 5) Share this invite to fellow marketers. We are excited you are interested in joining the Allied Marketers network.